So I have spoken a lot about mergers…you know where I stand! Here is a great initiative that I saw on Jason Dicks blog a while back and recently an article on AFP reminded me to post about it. The Lodestar Foundation is funding a competition called The Collaboration Challenge. [They are] awarding $250,000 to the collaboration (two or more nonprofits) that present the most compelling evidence as to how business was streamlined, a cause advanced or a group’s quality of life was improved by virtue of the collaboration. The money will be split between the organizations involved in the collaboration. 30 semi-finalists have been selected from a pool of over 644 U.S.-based nominations. Most were in the areas of health (25%) and community development and housing (12%). I actually came across this idea last year, and it looks like they have changed the campaign this year to another great idea (I have a link at the end of this post). I still really like this one. Selling Christmas Cards, I always find, is a time consuming and pretty expensive way of raising money. I think there is certainly a place for it, I certainly think individual supporters will still look for cards and you should have a supply. But when it comes to corporates I think they are looking for easier ways to send out Christmas greetings and are also looking to show at Christmas that they support charities. This is a great way of doing that. I know when I spoke with companies they were happy enough to just have something that they could add to the end of an email to say that they have made a donation, but this takes it to the next level. Harvey over at 2 into 3 sent me through a report from Harvey McKinnon Associates on the implications to fundraising of the financial downturn. There isn’t much new in it and there are no firm stats or data (still probably too early for anything we can stand over). Emotions like fear and anxiety are driving investments, investor behaviour and also fundraising. I think this is an interesting point as we tend to tap into peoples emotions as fundraisers so we need to look at the emotions we are targeting. If people are anxious and fearful, well we shouldn’t focus on that, we need to give them hope and a belief in their ablilty to make an impact. Historically, non-profits have done fairly well in most recessions – on average. This isn’t going to help anyone going to their Board or CEO with reduced revenue! But they do highlight 18 steps we can take to minimise the impact, again nothing really new in there, donor care, looking at lapsed donors, working harder and smarter etc….ie being a good fundraiser! As with most of the posts in this series we need to remember that all is not lost and I agree with this point. People will still want to give money to great causes. And they will give when they feel that it makes a difference, that there is the sense of urgency, and that it will make a difference to their emotional lives. It is critical that, as fundraisers, we continue to ask. My position still stands on this issue. It is a controversial method of fundraising, it works, but if a charity engages in it they need to remember that it is the public face of their organisation. I had an incredibly negative experience where a chugger told me, after I politely declined stopping to talk to them (I always try to be nice about it, i know what its like), they said “You should it would make you feel good”. I have never even considered donating to that organisation since then. That’s the danger of getting it wrong. But when you get it right…well the results speak for themselves. 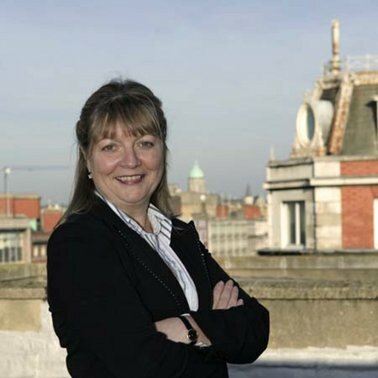 Tina Roche from Business in the Community Ireland was interviewed in Owner Manager Magazine about CSR in smaller organisations. Here are some highlights of what she had to say. Roche points out such companies will want to associate with small to medium-sized enterprises (SMEs) that have the right corporate responsibility ethos. “If you are saying you use recycled paper from sustainable forests, well then all of your suppliers have to know that. If you’re using renewable energy, then you want your energy supplier to supply you with green energy.” In other words, it’s not just coming from the big companies down, she says. As for the future of CSR, Roche sees more social issues being integrated into the fabric of business strategy. Companies will also start holding on to people with high-end knowledge because of the values they espouse. SOFII is The Showcase of Fundraising Innovation and Inspiration. Put simply it is Your free source of creative concepts worth copying. It is a great resource and worth checking out. 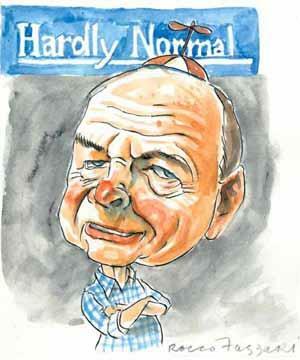 Any interactions I have had, as a fundraiser, with Harvey Norman have been positive ones. But it clearly hasn’t come from top down. I actually can’t believe, as reported on the Mallen Baker Blog, that its founder Gerry Harvey has said that donating to charities such as homelessness charities is “just wasted”. More, he said that because homeless people “are not putting anything back into the community” it is just “helping a whole heap of no-hopers to survive for no good reason. They are just a drag on the community”. Gerry Harvey is worth $1.6bn and in his opinion putting it to good use would only go to help a bunch of no-hopers who don’t put anything into society. The most common reasons for homelessness in Australia include domestic and family violence, eviction from previous accommodation and relationships or family breakdown….in the UK quite a large number of homeless men are ex-servicemen, people who you might think have put quite a lot into society. Gerry Harvey probably loves controversy, and the fact that we are talking about this probably makes his day. Look here’s the thing, its his money and he can do what he wants. But without spending a cent Gerry could make a difference. I would challenge Gerry to take a risk (I’m sure he has taken many) and allow us prove him wrong.